Jillian Daugherty Mavriplis, self-advocate speaker at TFS 2016. L to R: Dawn Piper, TFS Co-chair, and Suzanne A. Djidjoli, speaker at TFS 2016. Woodbine books sale, TFS 2016. L to R: Adrian Forsythe and Nicolette Stearns, co-presenters of a breakout session, TFS 2016. Heller An Shapiro at the ArtStream exhibit table at TFS 2016. Keynote presentation at TFS 2016 featuring (L to R) Kimberly Templeton, Eden McCauslin and Madison Essig. UPDATE: NOVEMBER 9, 2018. Thank you for attending the 10th annual Techniques for Success Conference on November 3, 2018. Speaker presentations are available from THE DETAILS TAB ON THE MENU BAR. CONTINUING EDUCATION CREDIT CERTIFICATES were emailed to attendees on Monday, November 26. Certificates will only be sent to attendees who requested the certificate during online registration. Certificates will not be sent to registrants who cancelled or were unable to attend. If you did not receive your certificate, please check the spam folder of the email that you used to register for TFS. The email came from: TFSCertificates@gmail.com. Questions regarding certificates can be directed to info@techniquesforsuccess.org or 301-979-1112. To view speaker bios, session abstracts and the 2018 Conference Agenda visit the details page. 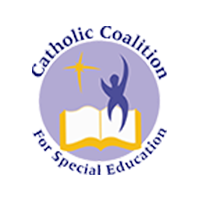 The 2018 TFS Conference is co-hosted by the Down Syndrome Network of Montgomery County (DSNMC), the Family Resource, Information and Education Network for Down Syndrome (F.R.I.E.N.D.S.) of Frederick County and the Chesapeake Down Syndrome Parent Group (CDSPG).